The ancient Egyptians searched for a way to immortalize their legacy and were able to come up with the magical characters known as ancient Egyptian Hieroglyphs from the heavenly gods to be used as a passage to the other side, the underworld. 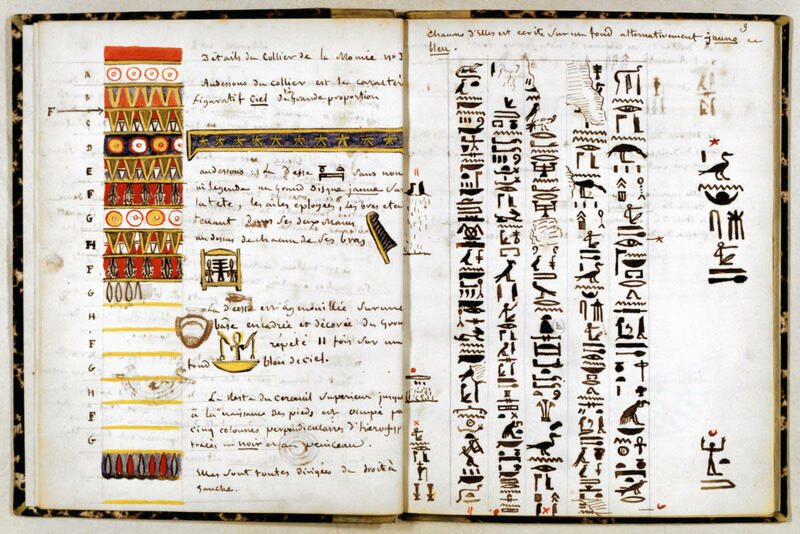 Ancient Egyptians believed that knowledge was the ultimate form of protection as it would be used in documenting their history, ideas, inventions, and discoveries. The ancient Egyptian hieroglyphs writing system is known in ancient Egyptian language as “Medu Netjer” which means “The Gods Words” as it was believed that the art of writing was the invention of the gods which explain how important and vital hieroglyphs were to the Egyptian civilization. The Egyptian hieroglyphic scripts were one of the earliest writing systems ever to be used during the history of the ancient Egyptian civilization to represent their language. Many Greek scholars and historians like Herodotus believed that the hieroglyphs were sacred and referred to as “Holy Writing“, the word comes from the Greek Hiero meaning “holy” and Glypho meaning “Writing“. -Determinatives which to indicate its correct meaning. It was able to combine logographic, syllabic and alphabetic elements and create a total of 1,000 sings which was later decreased to 750 signs. There have been many theories and hypotheses regarding the origin of the hieroglyphs, but one theory seems to be the most promising which states they were derived from rock pictures created by prehistoric hunting communities living in the desert west of the Nile River who used the means of visual imagery as a concept of communicating. Some decorations and images were depicted on pottery vessels of early pre-dynastic cultures in the zero dynasties during the period of Naqada II (3500-3200 BCE) and other vessels were buried in tombs of Naqada III (3200-3000 BC) and are considered to be the earliest stable dated examples of Egyptian hieroglyphs ever discovered. The signs of the pottery vessels are believed to showcase information about the contents of the vessels which reflects on the growth of record keeping and administrative control within the ancient Egyptian civilization. Hieroglyphs had its fair share of legends as it is believed that Thoth “The God of Wisdom and Knowledge” created the art of writing to make the Egyptians wiser and to enhance their memory, But Ra disapproved of delivering the hieroglyphs to humanity as it would make people’s memories and wisdom very weak because it would make them contemplate their memory and history through written texts instead of relying on their actual memories which are passed down through generations. Thoth disobeyed the will of Re and gave the techniques of writing to a selected few of Egyptians known as the scribes, they were highly respected and honored for their knowledge and skill in using the gift of the gods. Despite the language able to survive on surfaces of materials such as ceramic, metal, clay and stone, Papyrus remained the main portable writing manner in the whole of Egypt. The ancient Egyptian Scribes wrote on Papyrus and alternative writing surface generally made of wood until the end of the 18th dynasty (1550-1292 BC). In Egypt old kingdom (2686-2160 BC) clay tablets were very popular and in Egypt new kingdom (1550-1069 BC) many materials such as bone, metal, and leather were used for writing which shows how creative and resourceful the ancient Egyptians were. The temple of Abydos displays a great deal of information using hieroglyphs, some of them are numbers, others are believed to indicate the origin of the gods, it showcases information about the administrative structure and decisions made related to the economic activities controlled by the ruler. For three millenniums, the ancient king and queens used the word of the gods to immortalize their achievements and names through time on funerary stone, ceremonial maceheads and the majestic temples of Egypt which holds incredible Egyptian literature like the Pyramids texts around 2500 BC, the coffin texts which is a set of magical charms and liturgical spells like the one located in the famous book of the Dead. The Egyptian writing was developed and evolved many times during its long history and also gave birth to more writing styles, two cruise equivalents known as Hieratic and Demotic. Hieroglyphic was the oldest version of the script, as it was characterized by its elegant pictorial appearance and were found in monument inscriptions like temples, pyramids and in funerary contexts. Hieratic was created and encouraged by the priests and the temple scribes who desired to simplify the process of writing, soon hieroglyphs then became derived into the hieratic priestly script, it is believed that hieratic was in developed simultaneously with the hieroglyphic script. There was a stylized royal format of the king’s name called Serekhs dating to 3200-3000 BC and was believed to be a premature stage of hieratic after the discovery of pottery vessels with serekhs written on pottery vessels had hieroglyphs in cursive format. Hieratic was written from right to left on pottery sherds and papyrus. Despite the fact it was mainly used for religious purposes, it was also used for private, public, and commercial documents. Demotic writing system came in use around 7th century BC as a replacement of hieratic with the exception of religious and funerary inscriptions. It was called “Sekh Shat” which means “writing for documents“. Demotic carries no graphic traces with its equivalent hieroglyph which makes it really hard to link the two. The Coptic alphabet which is an offshoot of the Greek uncial alphabet that rose to dominance during the Ptolemaic (332-30 BC) and the Roman period (30 BC-395 CE) in Egypt as the culture of the roman and the Greek became highly influential. During the 2nd century AD, Christianity began to displace some of the traditional Egyptian cults and create the Coptic writing system consisting of 32 letters and the official Coptic language. Coptic is the first alphabetic script used in the Egyptian language which totally replaced the Egyptian Hieroglyphs with only a few signs of the demotic script surviving within the Coptic alphabet. The ancient writing systems of hieroglyphs fallen into oblivion for about two millennia, destined to lost forever, until the great discovery of Champollion’s. The mysterious meaning of Egyptian hieroglyphs was unlocked when Napoleon Bonaparte with various researchers and in 1799 the Rosetta Stone was found which is a decree of Ptolemy V written in Greek, demotic and hieroglyphic writing. A man by the name of Jean-Francois was able to compare the hieroglyphs with the Greek translation, he also studied the names on obelisk from Philae which carried the names of Ptolemy and Cleopatra, this made him able to conclude that the ancient Egyptian hieroglyphic writings were a combination of sounds, ideas and words, not like ant common alphabet, And so he was able to understand the writing system of ancient Egypt, decipher it and share it with the world. 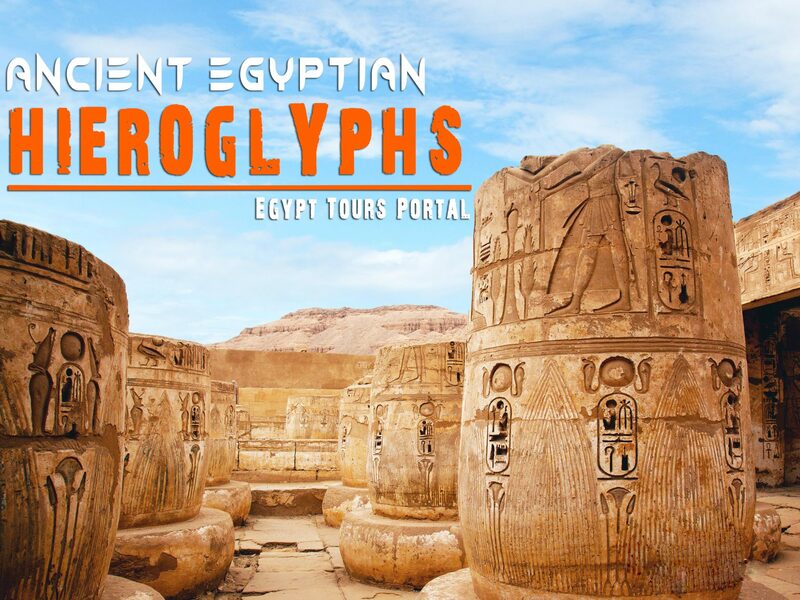 The mysteries of ancient Egypt is truly infinite as even with the deciphering of the hieroglyphs, there is a great deal of unanswered surrounding this incredible civilization so Egypt Tours Portal offer you the chance the explore the wonders of Egypt, unlock its secrets and uncover the beautiful hidden soul of this holy country. 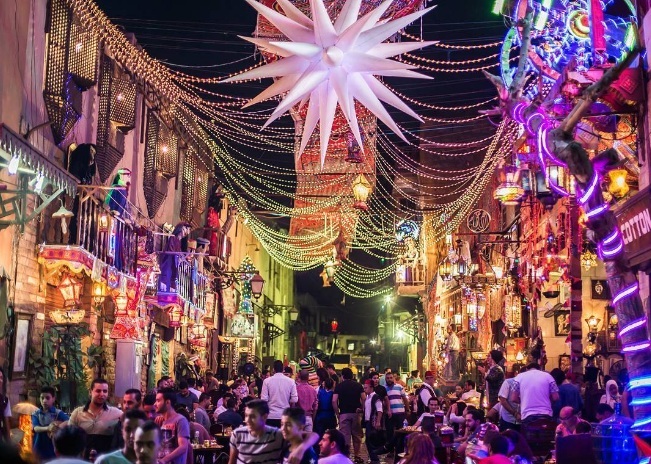 The finest way to explore the mesmerizing cities of Egypt like Cairo, Luxor, and Aswan is by a Nile cruise through our Egypt tour packages where you will get to hear the immortal calling of this ancient civilization. 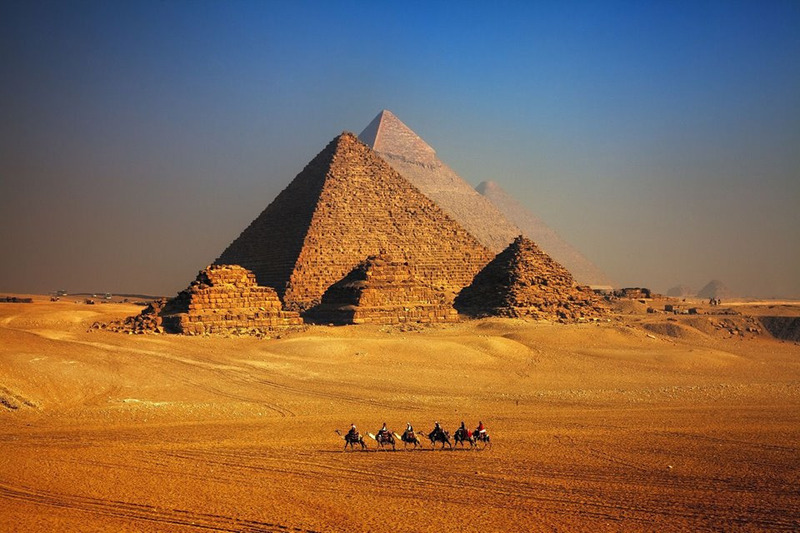 2 Egypt Tours Portal March 23, 2019 Egypt "Land of Pharaohs"